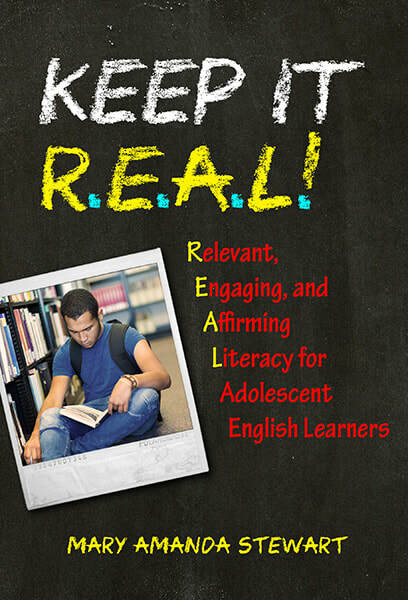 Responding to the linguistic and educational diversity of adolescents, the R.E.A.L. (Relevant, Engaging, and Affirming Literacy) method offers teachers a range of scalable activities, reading lists, and other resources, along with numerous suggestions on how to adapt them for students’ particular needs. By sharing experiences from actual secondary English classes, Stewart presents diverse learners making meaningful connections to texts and responding through writing, speaking, and other artistic means. These students are developing high levels of literacy, English language skills, and even biliteracy through R.E.A.L. instruction that all English teachers can use. Provides creative solutions for centering students’ needs and interests within standards and other curricular restraints. Considers ELs’ full literacy development in all of their languages, not just English.